Groundwater is a primary source of water for communities all over the world. These communities rely on groundwater as water for drinking and other domestic uses, agriculture, industry and more. A clean, sustainable supply of groundwater is essential for communities to grow and thrive, making groundwater protection of utmost importance. 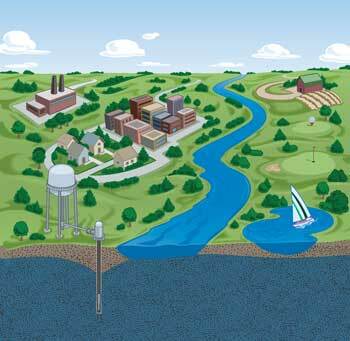 There are many ways your community can help protect its groundwater supply. Get yourself and your community involved and be part of the solution to protecting this vital resource!